← US quits UNESCO over Israel – Again! Iran, Turkey and Hizbullah have all blamed the US and Israel for creating ISIS and Kurd civil wars for fragmentation of the Middle East for Israel’s benefit. 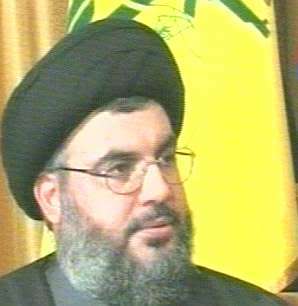 In August 2017, Hizbullah leader Sheikh Hassan Nasrallah said in a speech that Benjamin Netanyahu cried in front of Vladimir Putin and Donald Trump over ISIS defeat in Syria and Lebanon, which was supposed to destroy our region, our army and our institutions, and give it to the United States and Israel. Earlier this month, Clifford May (Jew), founder-president of the Foundation for the Defense of Democracies (FFD), an Israeli advocacy group, in a speech at the Capitol Hill accused Hizbullah being part of Latin America’s Socialist-Islamist-narco-terrorist alliance. One has to excuse May for his Jewish laying to hide the fact that Israel tops in drug trafficking and terrorism. A frustrated Trump administration instead of refuting Nasrallah claim, put US$12 million bounty for the capture of two of Hizbullah senior armed resistance officials, Talal Hamiya and Fuad Sukr. The problem is no Lebanese citizen except Israeli Mossad agent would try to grab that bounty. Earlier in February 2017, Trump administration put US$5 million bounty on Hizbullah member Mohammad Ali Hamadei, accused of masterminding hijacking of 1985 Flight 847, a CIA-Mossad false flag operation like 9/11. In July 2017, Donald Trump called Hizbullah, a menace in the Middle East over giving a crushing blow to Jewish army in 2006. Two years ago, however, Trump didn’t even know what Hizbullah was. Earlier this week, Saudi minister for gulf affairs Thamer Al-Sabhan tweeted: “There is only one terrorism and that must be fought everywhere. Would the world agree with the presence of members of Daesh and members of Al-Nusra in Parliaments and governments? It is necessary to unite against the Party of the Devil“. Daesh (ISIS) and Al-Nusra are terrorist groups created by the US, Israel and Saudi Arabia while his Party of Devil, the Party of Allah (Hizbullah) has been fighting against Daesh and Al-Nusra since 2013 in Syria and Lebanon. The Kings of ISIS were meant for King of Saudi Arabia and Emir of Qatar, who have long supplied Wahhabi terrorist to Turkey and Israel to bring regime changes in Syria, Iraq and Lebanon. In a bid to begin a new Israeli proxy war in the Middle East Donald Trump announced the decertification of U-Iran nuclear deal, which has further isolated the US from the heavy-guns at the United Nations such as Russia, China, France, Germany and EU which have refused to follow Washington lead on this matter. Can anybody of yours remind me when Israel was defeated in Syria, or in any other Arab country, while the Golan Heights is still in Israeli hands??? But we are not proud of making/fighting/winning wars, like you. We want peace. would you, Arabs, mind to think positive??? It’s a Jewish virtue to live in self-denial. The neo-Nazis European Jew terrorists occupying Palestine now claim to be anti-war and peace-loving Jews, right! Israel just got its butts kicked in Syria by Syrian army with the help of Hizbullah and Syria. During October 1973 Israeli war on its Arab neighboring countries – A squadron of Pakistan Air Force (PAF) arrived in Syria to fight alongside the SAF and halt the Israeli advance over the Golan Heights. The PAF pilots Sattar Alvi and Arif Mansoor, engaged and shot down an Israeli F-4 Phantom over Egyptian airspace. Another dogfight between the PAF and IAF over Syrian airspace came to a memorable end with Pakistan obliterating the Israeli Mirage IICJ flown by M. Lutz with air-to-air missiles. This was enough to convince other Israeli fighter planes to bug out and abort all further incursions into Syria. Golan Heights along with the West Bank, Gaza and Al-Quds city wouldn’t had occupied by Jewish army without active military support from the US and Britain. You vermin had ample of opportunities for peace (and not only Arab hates your sorry a**, but the whole world) and yet you don’t seem to get it, your reliance on your dying protector (the US) had emboldened you beyond your depth. israhell was founded to be destroyed, get that ramon, and as Sayed Hassan said, the Zionist vermin are using world Jewry to that end – destruction, and as an outpost to serve their purpose. My God, the Jews are dumber than I though, you make the Gulf Arabs look like geniuses. You lost the war, get it, you lost in the long run. How long is your run Moshe? Your war criminal uncle Henry Kissinger said the Zionist entity has only another decade to live.